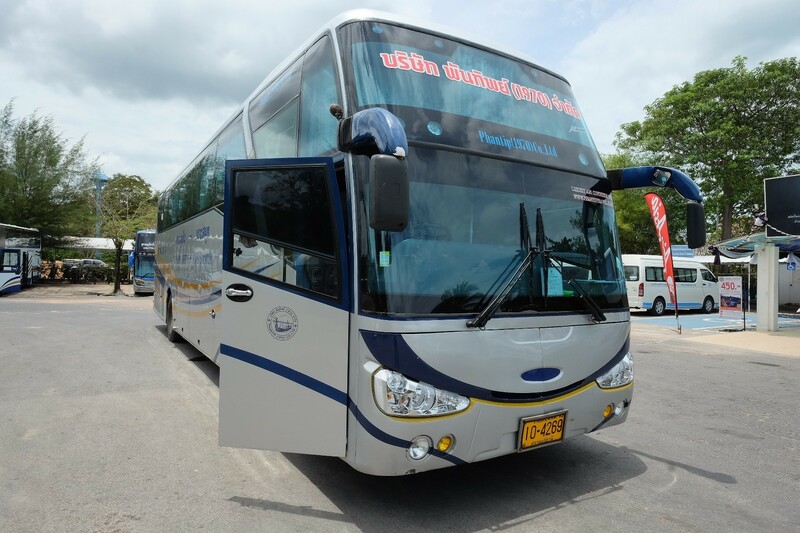 Coming into the transportation scene since the early 1970’s, Phantip Travel has become one of Thailand’s most established bus companies around. 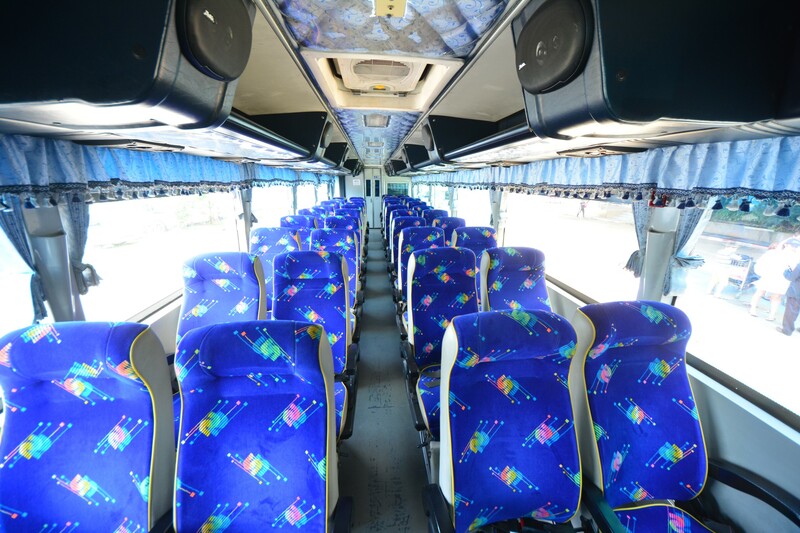 The company based in Surat Thani provides you with some of the best express bus, bus shuttle and ferry services for those looking to travel within the exciting country itself. Whether you are planning to relax by the beach at Krabi or visit the elephant park at Koh Samui, Phantip Travel is ready to help kick start that adventure for you. Either you choose to book the bus tickets online through Easybook website here or via our mobile app, it can be done within a few minutes without stepping out of the house. Known for their trips to some of the more well-known beaches in southern side of Thailand, Phantip Travel bus is one of the most preferred companies chosen by most travellers wherever they come from. If you choose to ride with Phantip Travel bus, it will depart from their base at Surat Thani to take you to places like Hat Yai, Koh Lanta, Koh Pha Ngan, Koh Samui, Krabi and Phuket as well. You can find travellers and locals alike hopping on this bus operator on a daily basis. There will be a non-stop route from Donsak Pier to Phuket coming soon too. 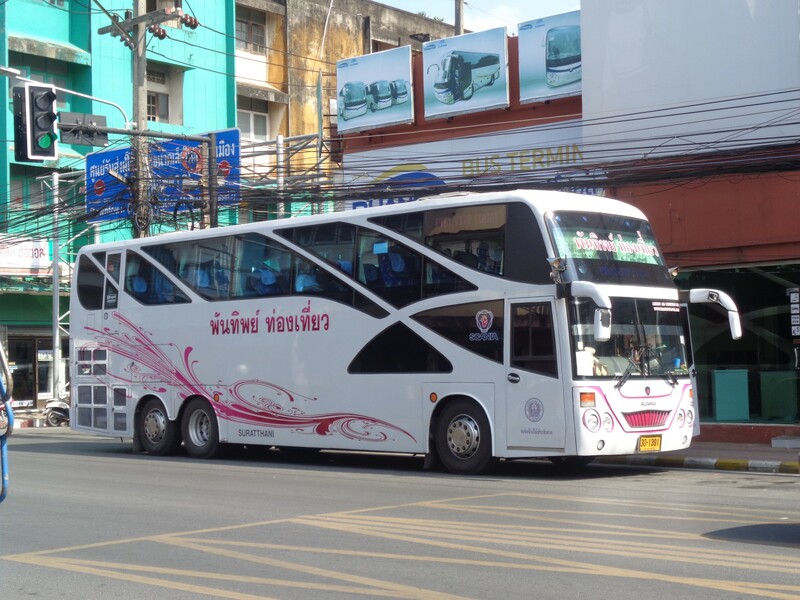 Phantip Travel comes in both double decker vehicles that comes with 48 seaters and single deck buses with 38 seaters. Whichever ones you end up with, the services are equally the same with Wi-Fi available onboard to allow you to be connected to the worldwide web. You can also find TVs installed on the buses for some light entertainment in case you are unable to sleep during your long journeys. There are also toilets on the vehicles for your travelling conveniences as well. The tickets for Phantip Travel are also affordable, which allows anyone to travel with the operator easily and conveniently. They are constantly improving themselves whether it is the facilities or the operational side of things of their business to serve you the best they can. It is important for them as a company of over 40 years old to keep up with the demands of travellers especially when it comes to safety and comfort for both bus and ferry. Avoid the hassle of going to the ticketing counter to purchase a bus ticket. Get your bus ticket online with Phantip Travel now within a few minutes easily through Easybook’s website here or you can also download our mobile app to do so. You can even tag us on Instagram with your beach photos when you have arrived at your destination!